In the opening paragraph of the book we are introduced to Joseph and Pharaoh and the well-known situation of the famine. Pentaphres a priest in Hierapolis has a beautiful daughter named Asenath. She is described as tall like Sarah, handsome like Rebecca and beautiful like Rachel. The son of Pharaoh desires to marry her, but the king pushes him toward a royal marriage. We are told Asenath has scorned the attention of men and is “scornful and arrogant to everyone. Joseph, however, is not a hurry to meet Asenath (chapter 7-9). Only after he is convinced she will not “molest him” does he consent to meet her. Asenath expects him to kiss her, but he refuses since he worships God and she worships idols and eats the food offered to idols. This section is the main crux of interpretation for the study of the book since Joseph describes his worship as eating blessed bread of life and drinking the cup of immortality. This passage has been the subject of lengthy discussions concerning the possibility of finding the Lord’s Supper here as well as potential parallels to John 6 and 1 Cor. 10 (OTP 2:211 note i). There are at least two possibilities. The most obvious (and easiest to handle) is that this is a Christian interpolation added at a much later date to make it appear as though the Communion was anticipated in the book of Genesis. The second possibility is that the reference to “true worship” as the eating of the bread of life and drinking the cup of immortality is a Jewish concept which may have had an influence on the book of John. This creates all sorts of issues when dealing with the book of John and the sources of imagery chosen in Chapter 6. This is a possibility because the text clearly contrasts the food of Joseph with the “bread of strangulation and the cup of insidiousness.” The reference in the book may be simply “true worship” versus “false worship.” How this influences John 6 (or is influenced by John 6) is a separate issue. Asenath is insulted and “distressed exceedingly” at Joseph’s rather final refusal of her. She resolves to repent, to pray to the God of Israel, and to ask him to “make her alive again” (8:11). Spurned, Asenath returns to her room and bitterly weeps in repentance. Joseph promises to return in a week’s time. Chapters 10-13 describe Asenath as a model of repentance. She only eats bread and drinks water, she wears sackcloth put ashes on her head. She refuses to be comforted by her attendant virgins and she destroys her idols. Chapters 11-13 are “soliloquies” on repentance. Asenath’s repentance is genuine and she is reward with a visit from an angelic figure (chapter 14-17). This sequence is the most mysterious in the book and may not be very well understood for as much has been written in it. This angel calls to her (Asenath, Asenath) to which she responds “here I am,” just as Abraham did at critical points in Genesis (Gen 22, for example). She sees a man very much like Joseph except that he is shining like sunshine. He tells her to have courage and to dress. Her prayers have been heard and she has been accepted by God. He tells her she will be the bride of Joseph and that her name will be “city of refuge.” The heavenly man, who refuses to give his name, gives Asenath a honeycomb “which is the bread of life.” Asenath invites him to sit on her bed (which no one has been in other than herself), and she prepares a table for him. He asks for honeycomb, but Asenath tells him there is none in the store room. He tells her to go and check, and returns with a wonderful honeycomb. She knows the man “spoke, and it came into being,” a spiritual insight. The man blesses her (“happy are you” is the form a beatitude) and he tells her this honeycomb is the bread of life. He breaks off a piece and gives it to her, telling her that now she has eaten the bread of life and drank the cup of immortality. The man then touches the honeycomb, drawing his finger in the shape of a cross (or an X), and his finger became like blood. Innumerable bees began to rise from the comb and surround her mouth. They eat the honeycomb out of her mouth then ascend into heaven. He then blesses the seven virgins who attend Asenath – they will be the seven pillars in the “City of Refugee” (i.e., Asenath). The man disappears while she is putting the table away. She sees a chariot of fire with four horses traveling to the east, and then she realizes either a god or the God has been in her chamber. Joseph arrives for his second visit in chapters 18-20. Asenath is instructed to prepare herself for his arrival, so she dresses beautifully. She is so striking her foster-father says “At last the Lord God of Heaven has chosen you as a bride for his firstborn son, Joseph.” When Joseph arrives he too is amazed at her beauty and asks her name. She explains to him her decision to no longer worship idols and of her vision of the man from heaven. They embrace for a long time and hold hands. Pentephres proposes marriage and Joseph suggests the Pharaoh give the wedding banquet. We are told Joseph did not sleep with Asenath until after they were married, “It does not befit a man who worships God to sleep with his wife before the wedding” (20:1). This line is important for what it says about sexual morality in Judaism at the time of Christ, but also because Joseph refers to Asenath as wife before the wedding. This is helpful in sorting out the descriptions of Mary in Matthew and Luke. There Joseph can refer to his “wife Mary” and perhaps seek a divorce despite the fact they have not yet been married. Pharaoh presides over the wedding of Joseph and Asenath (ch. 21) and holds a seven-day banquet for them. Asenath confesses her sin before the Lord in eleven stages (idol worship, trust in arrogance of beauty, etc.). Jacob and the rest of the family move from Canaan to Goshen (ch. 22. Asenath is astounded at his beauty even though he is an old man. She especially likes Levi because he has devoted himself to the service of the Lord. Wow! Facinating! 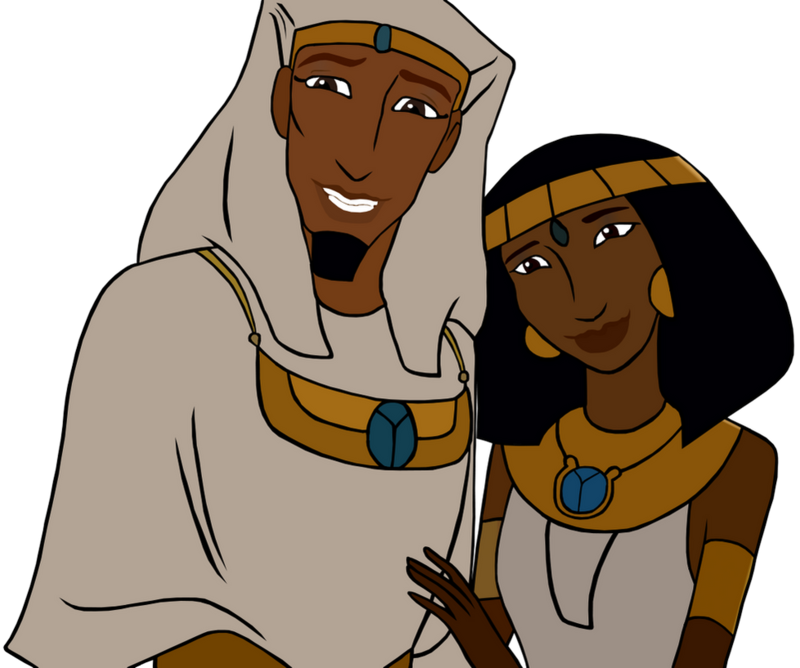 I’ve never read that story about Joseph and Asenath. It is not factual, of course. It reflects what some Jewish writers thought about Joseph maybe 150 years before Christ. Why Were There Money Changers in the Temple?